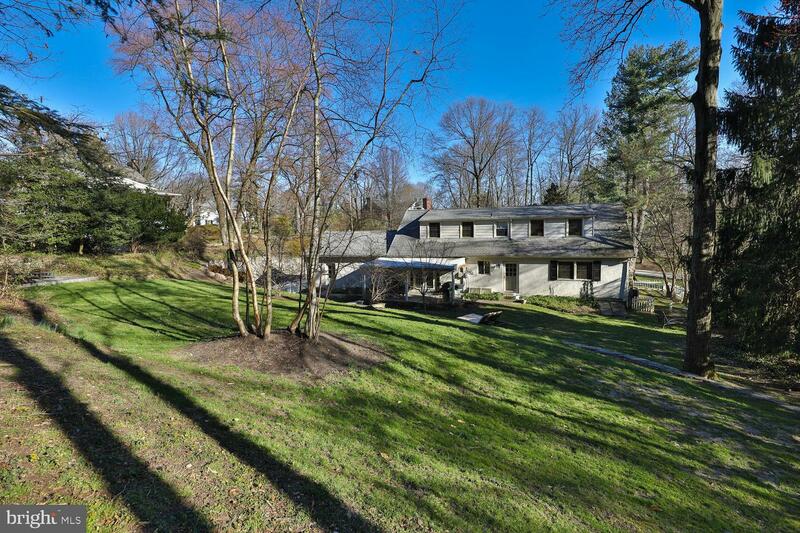 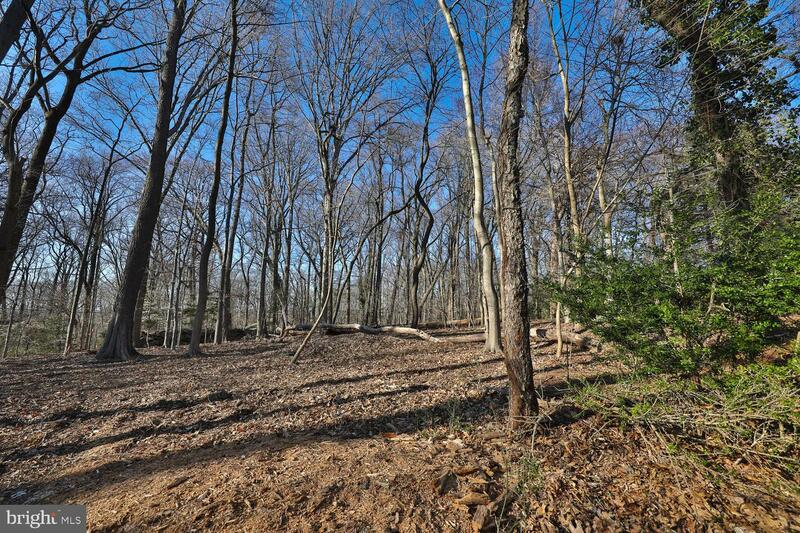 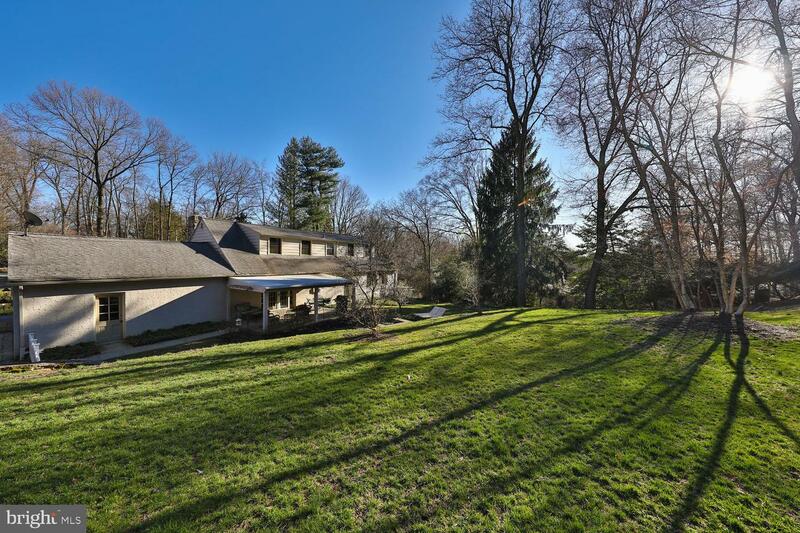 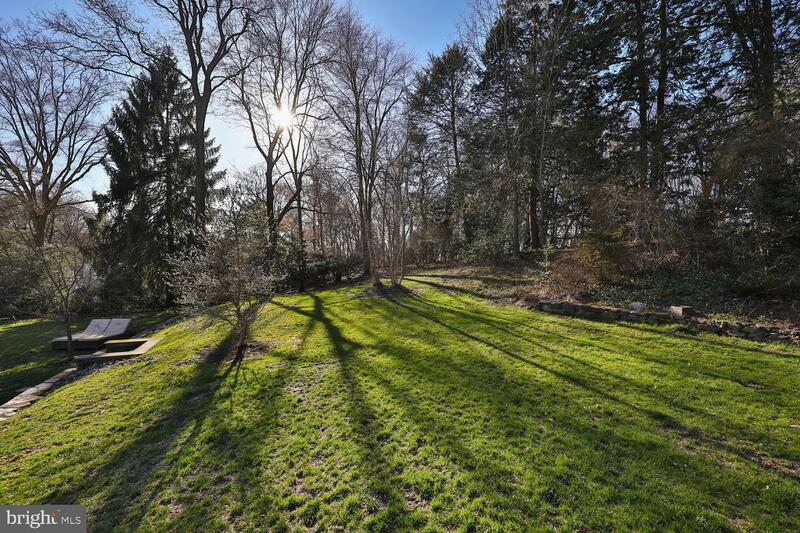 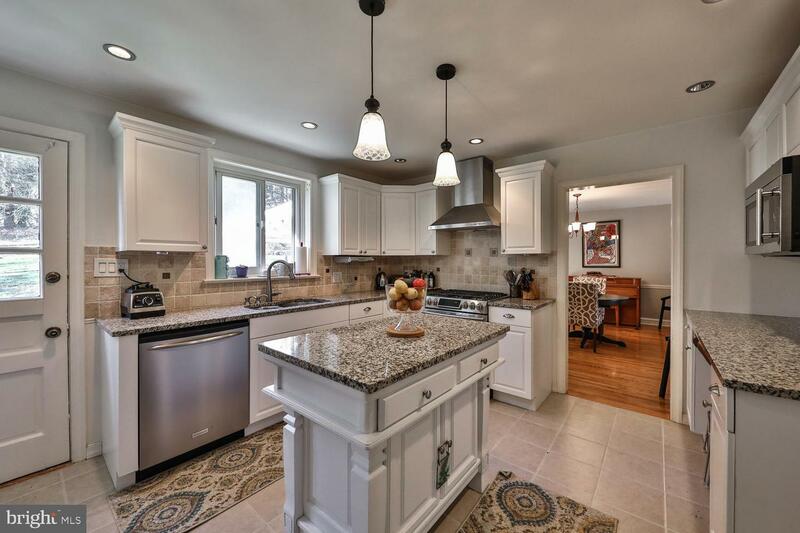 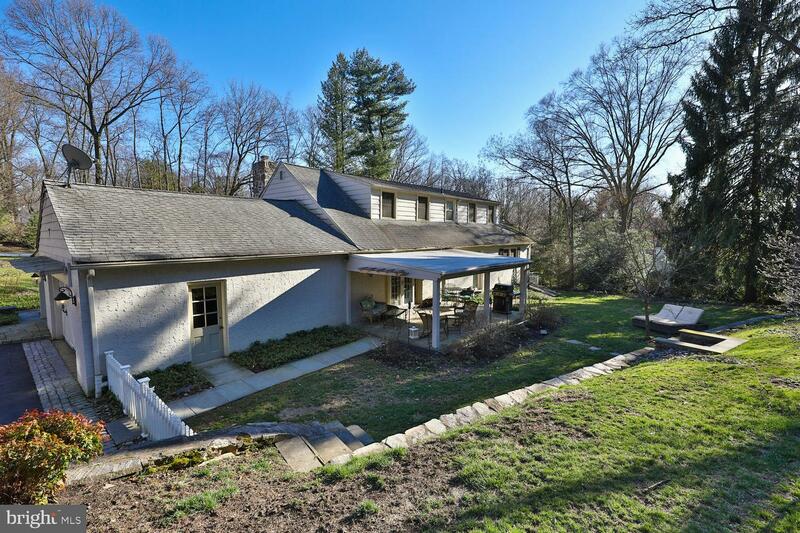 This is the one you have been waiting for in the sought after Custis Woods section of Glenside! 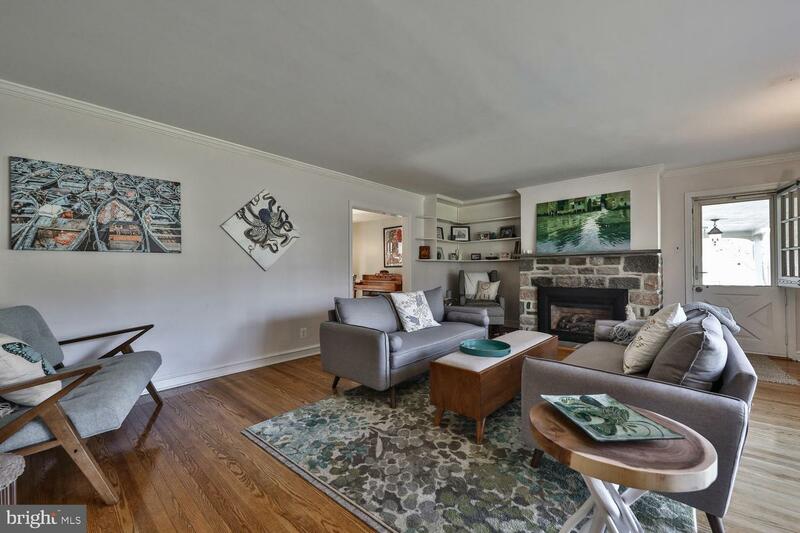 This freshly painted, updated home has 4 bedrooms and 2 full baths on a beautifully landscaped half acre lot on a quiet, picturesque street. 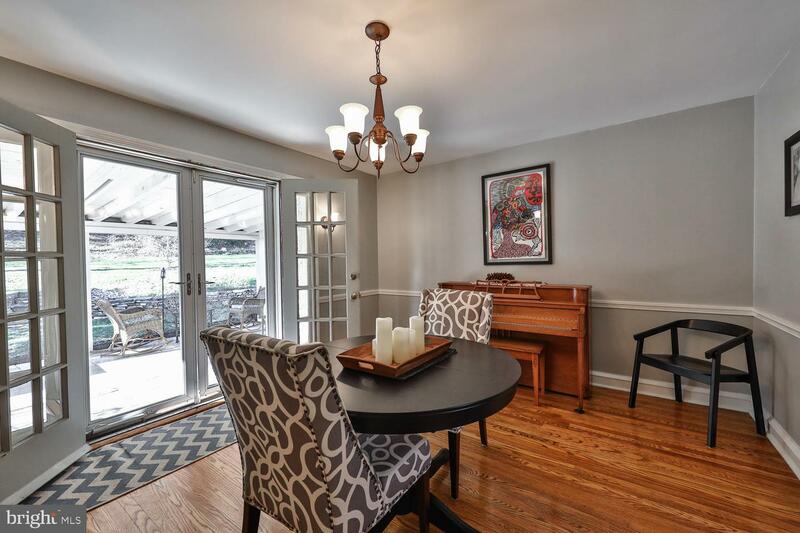 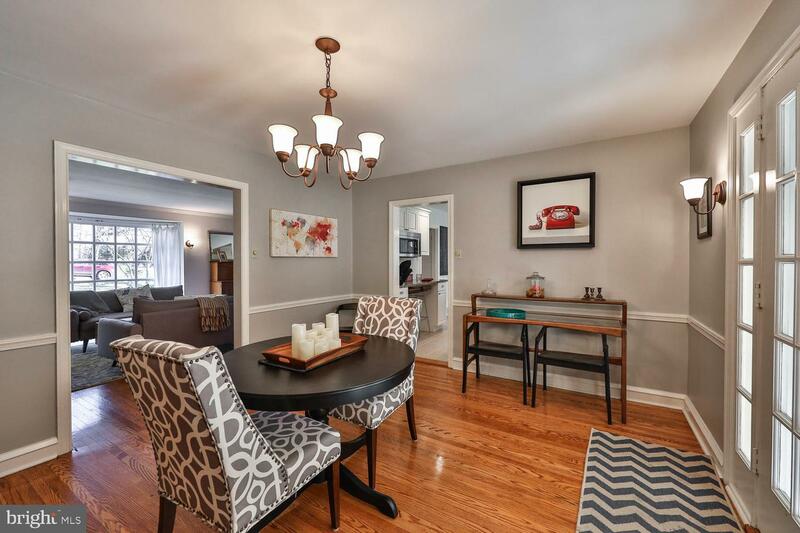 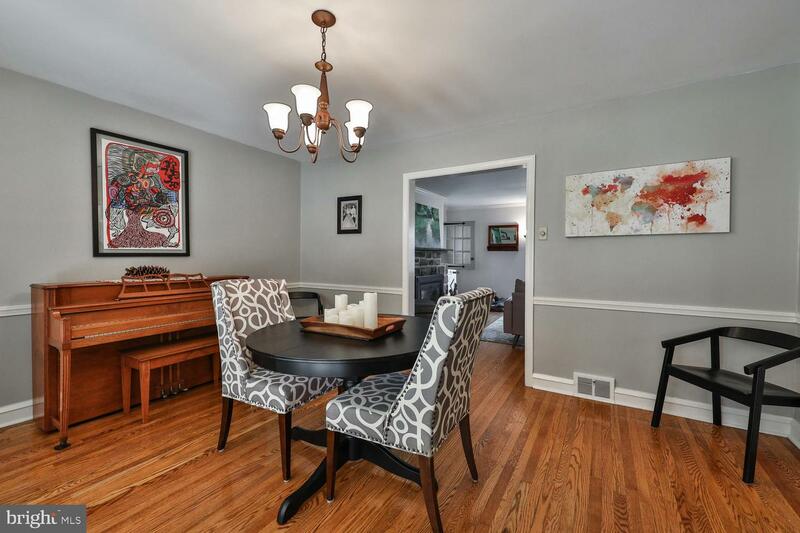 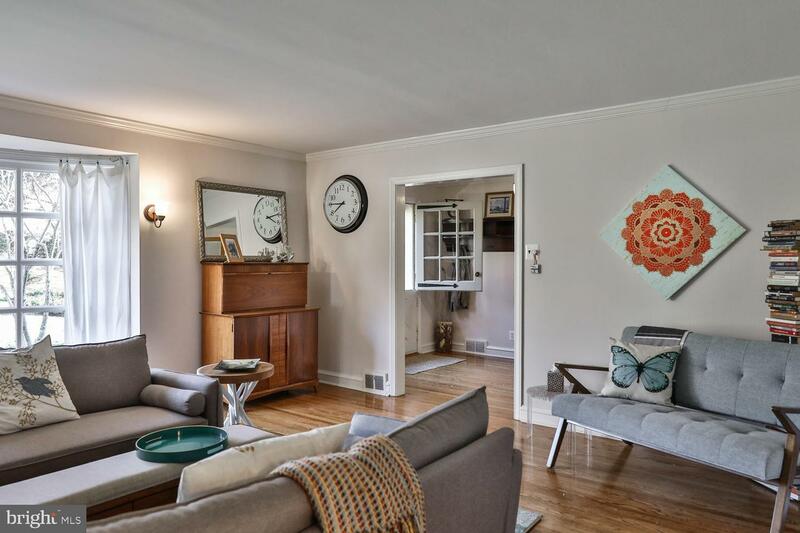 The home features beautiful hardwood floors throughout. 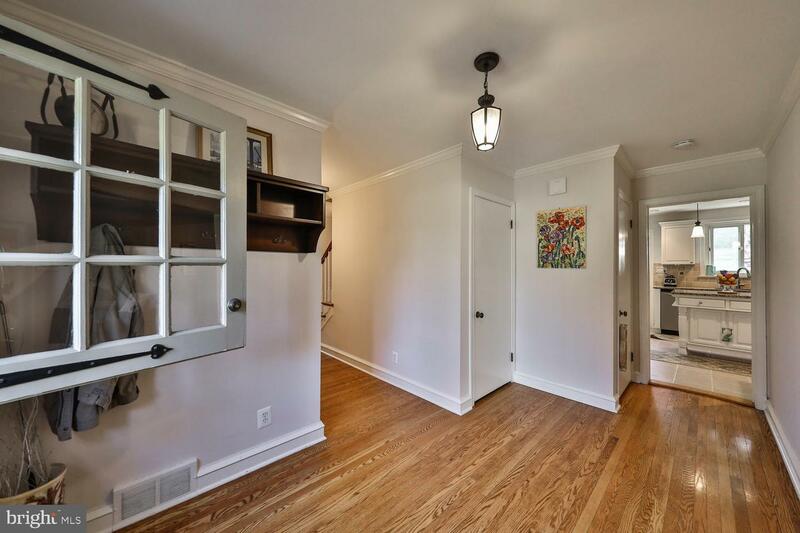 A formal entryway with Dutch Doors open into a welcoming foyer. 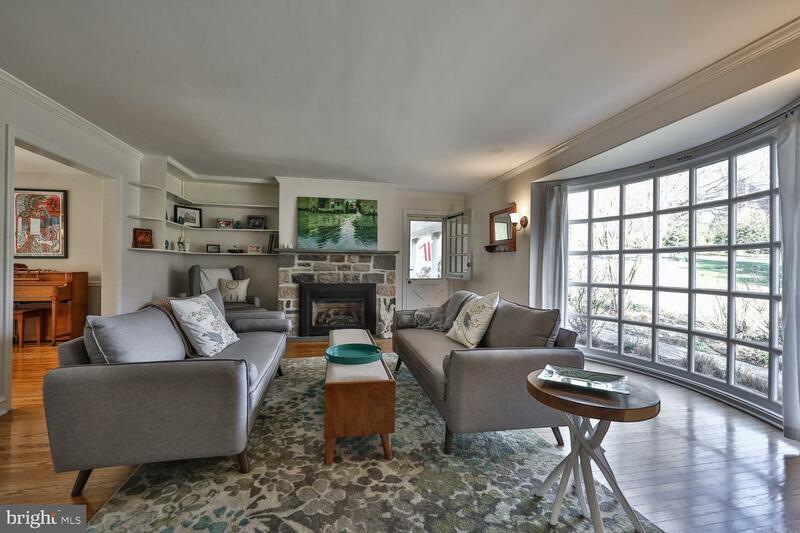 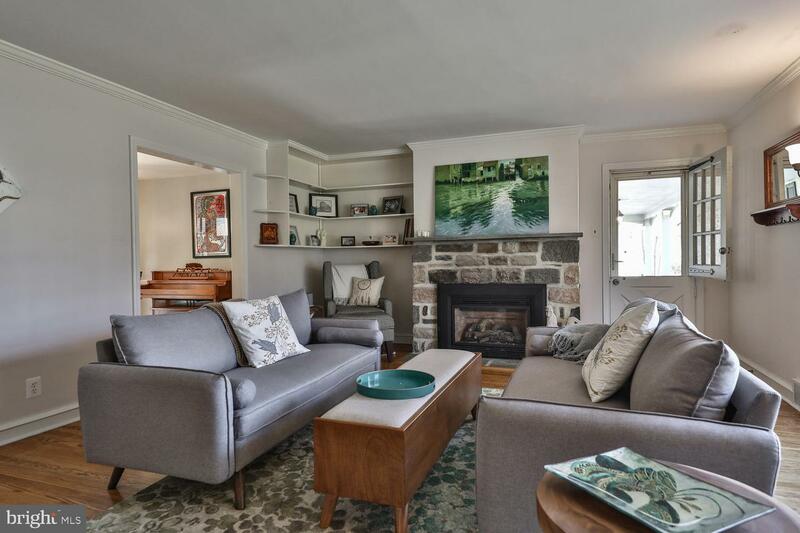 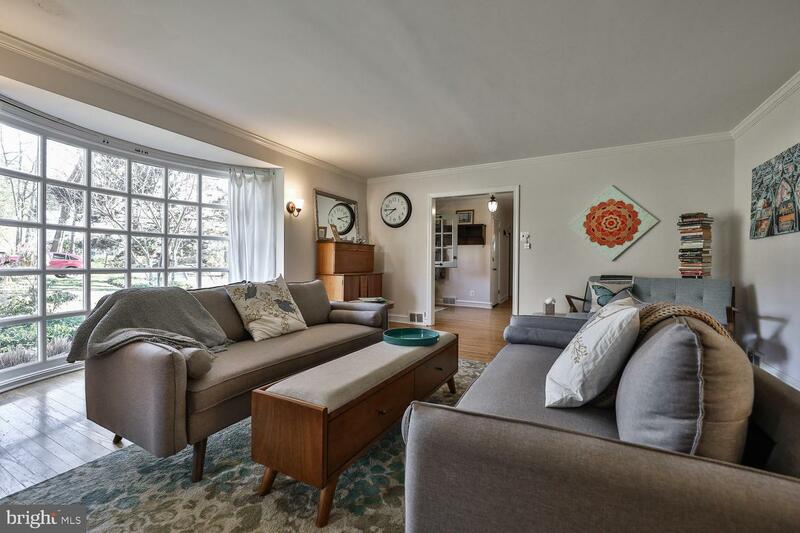 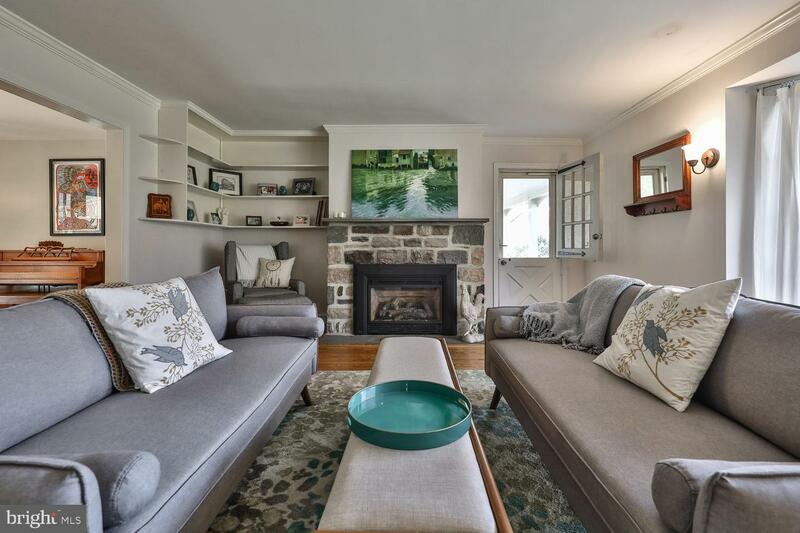 To the right, the living room has a gas fireplace, floor-to-ceiling bay window, built-in shelving, crown molding, and another Dutch door to the side patio. 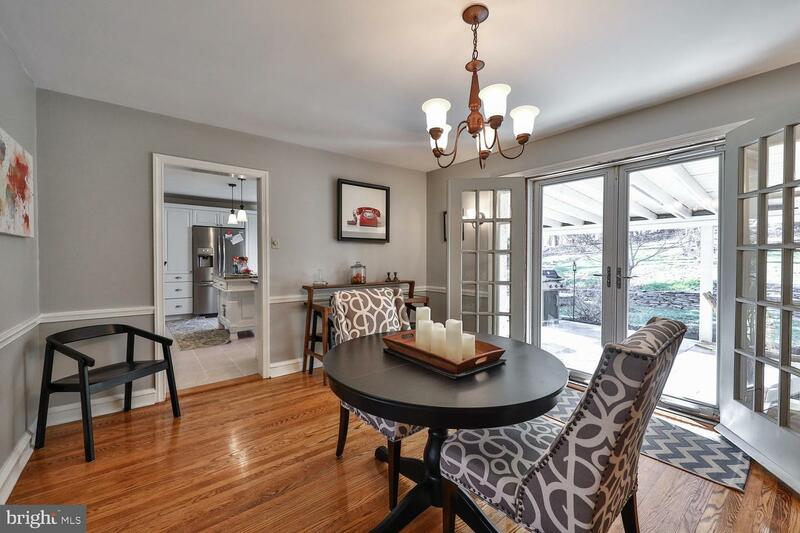 The space flows beautifully into an elegant dining room with French doors that open onto the covered flagstone patio, perfect for a quiet cup of coffee in the morning or for entertaining guests. 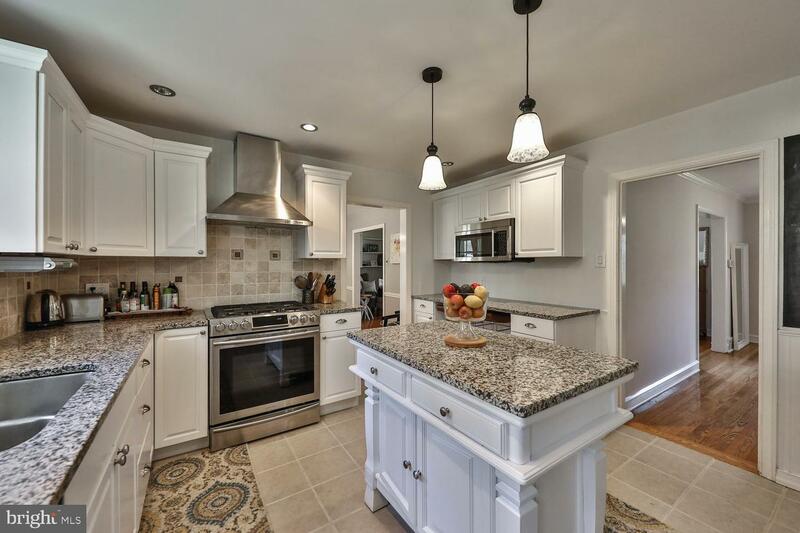 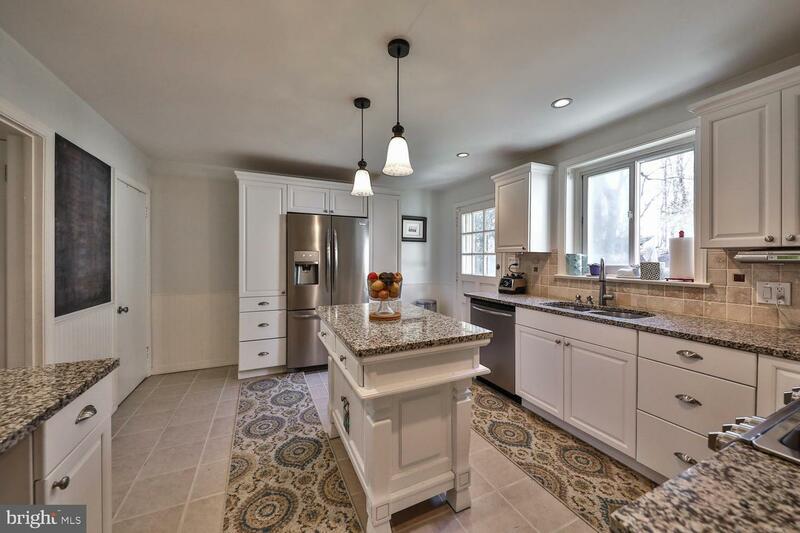 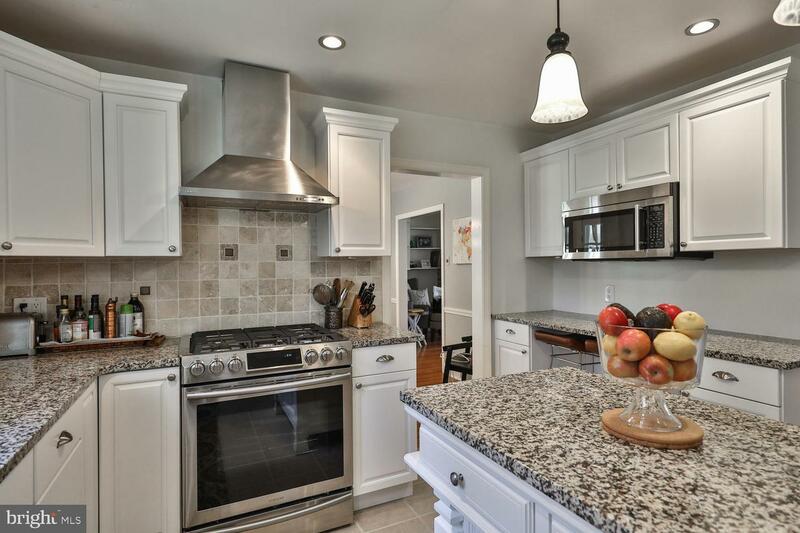 The bright and spacious kitchen features new cabinets, refrigerator and convection oven (2018), and a large pantry. 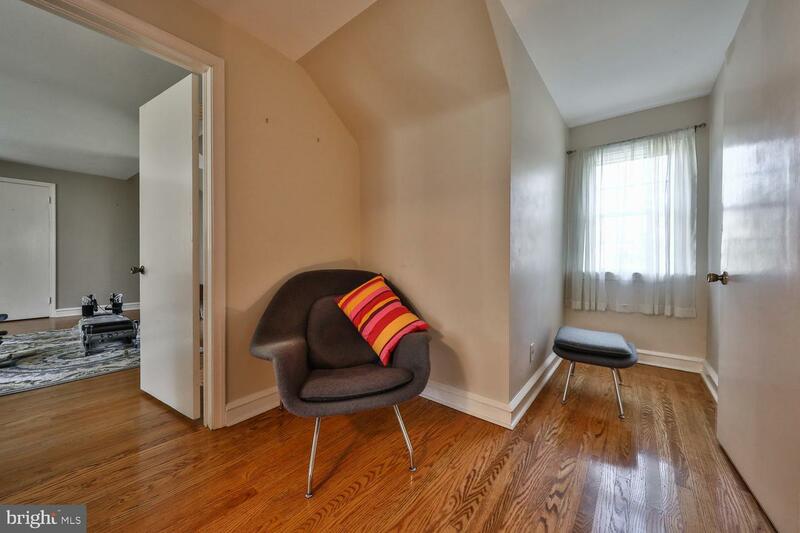 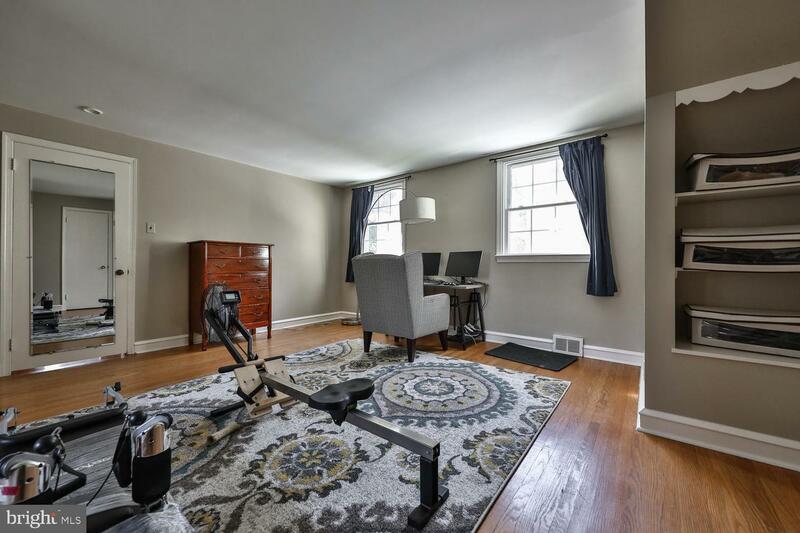 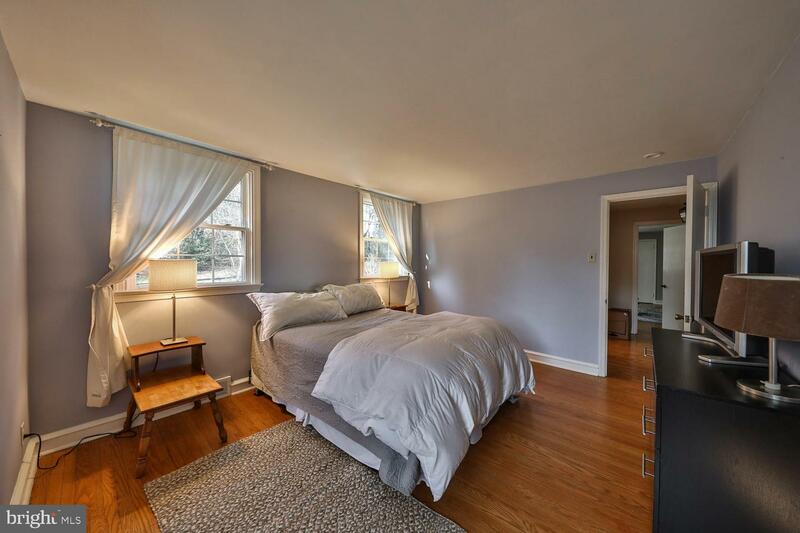 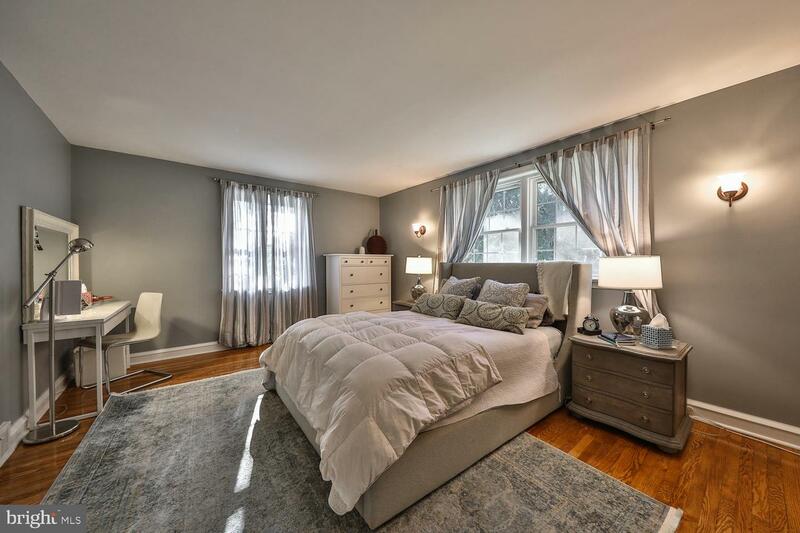 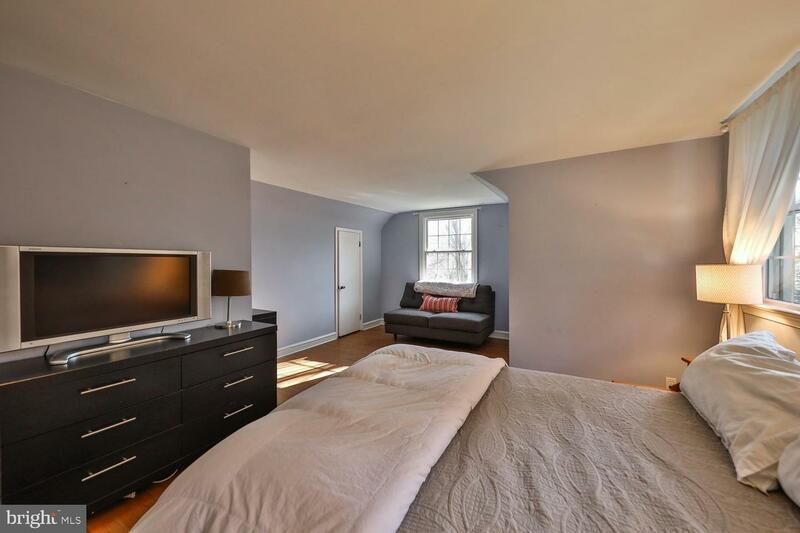 A bright and spacious newly renovated first floor bedroom has 2 closets and windows on two sides. 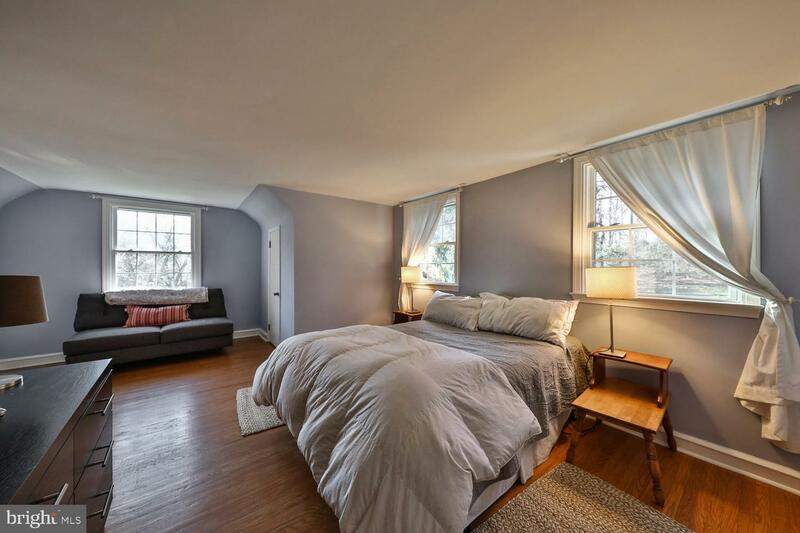 A second main floor bedroom, which also works as a bedroom or a family room or den, has a fireplace with wood burning stove, built-in shelving, recessed lighting, crown molding and a closet. 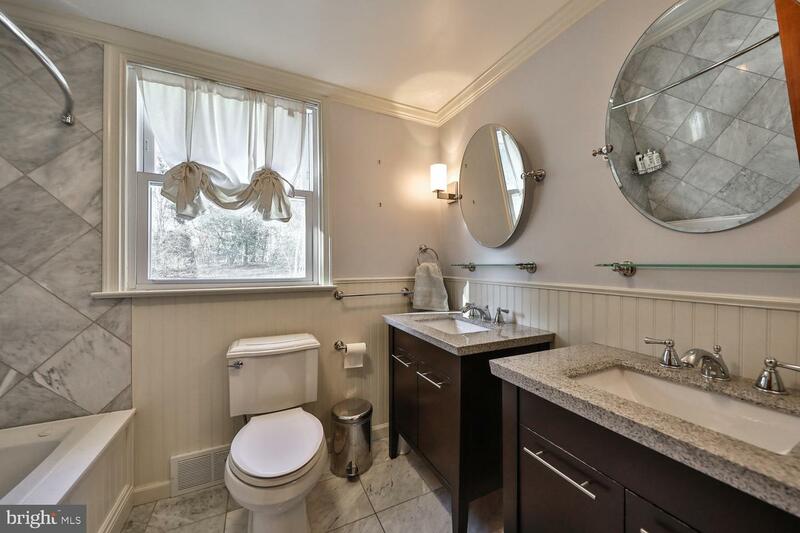 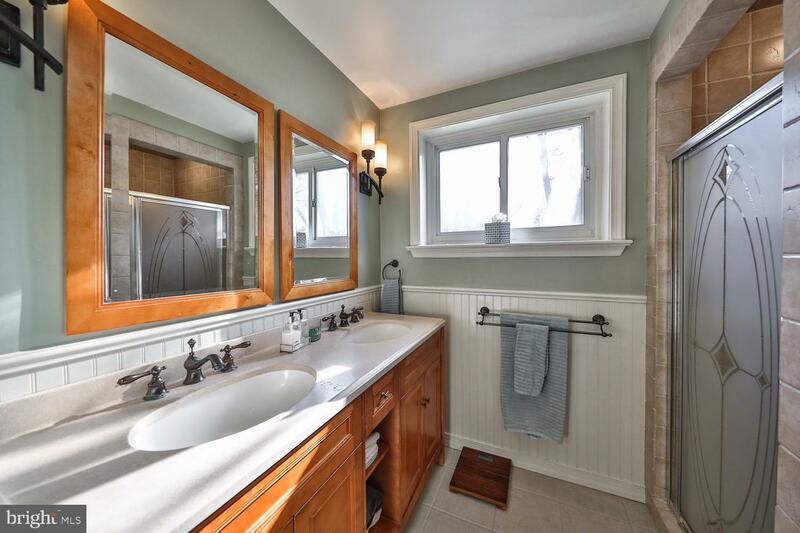 The full bathroom on the main level has wainscoting, double sinks and a stall shower. 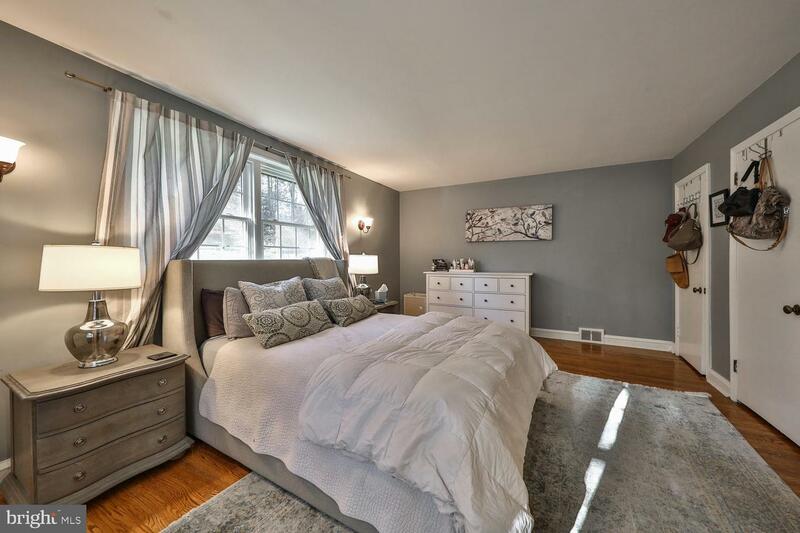 Upstairs you will find 2 large, bright bedrooms, each with 2 closets (one cedar) and a beautifully remodeled bath with wainscoting, double vanities, Jacuzzi tub, and a hall linen closet. 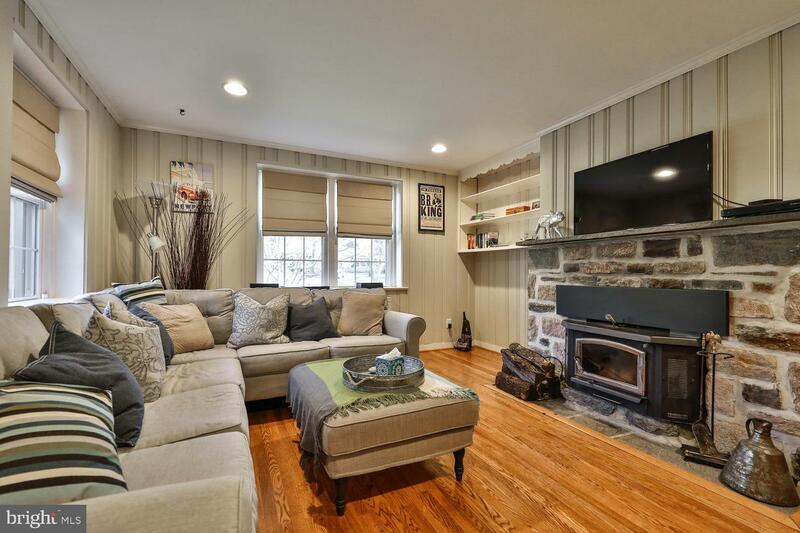 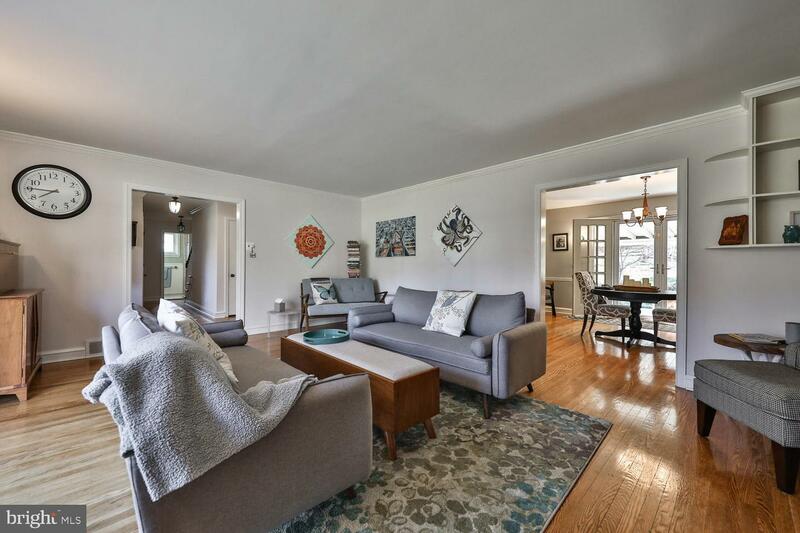 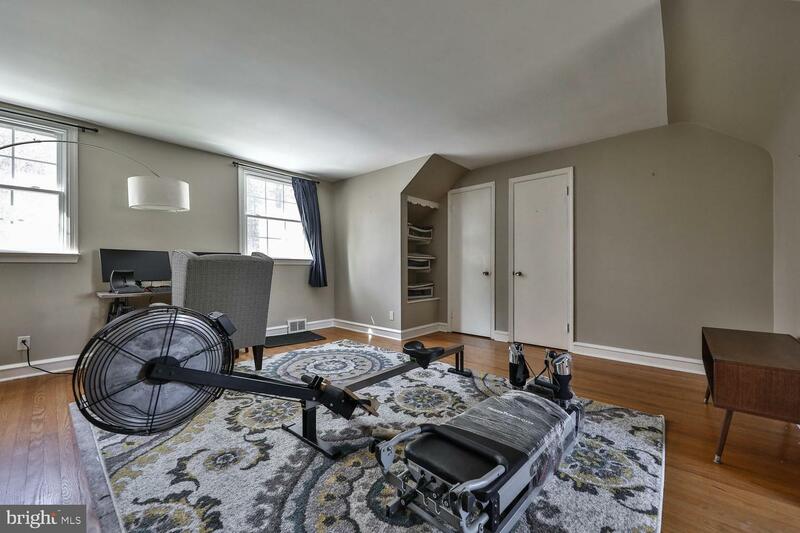 The 1300-square-foot professionally waterproofed basement has high ceilings and a door to the outside and could very easily be fully finished by the next lucky owner. 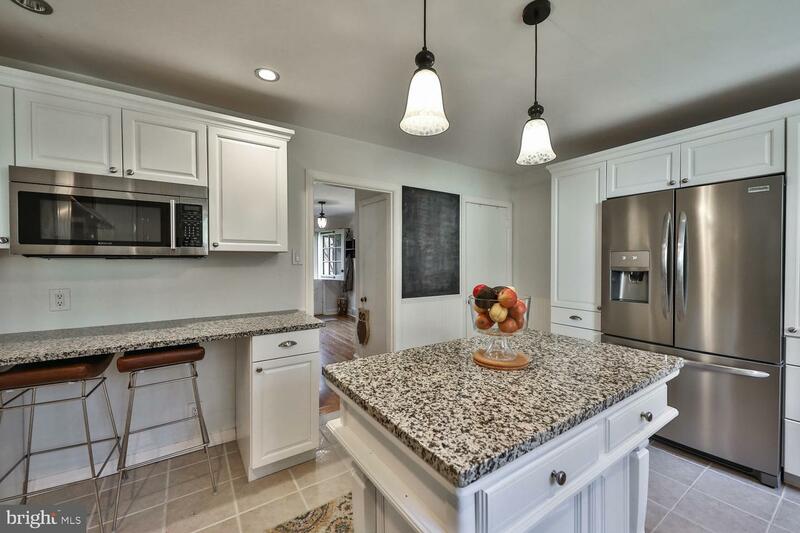 It is home to a 2 year old washer and dryer. 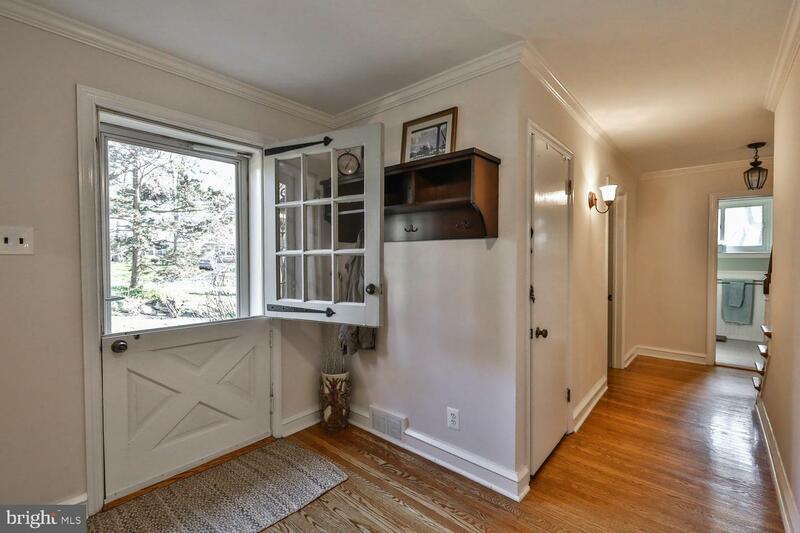 Fully updated electric and all new exterior Anderson storm doors. 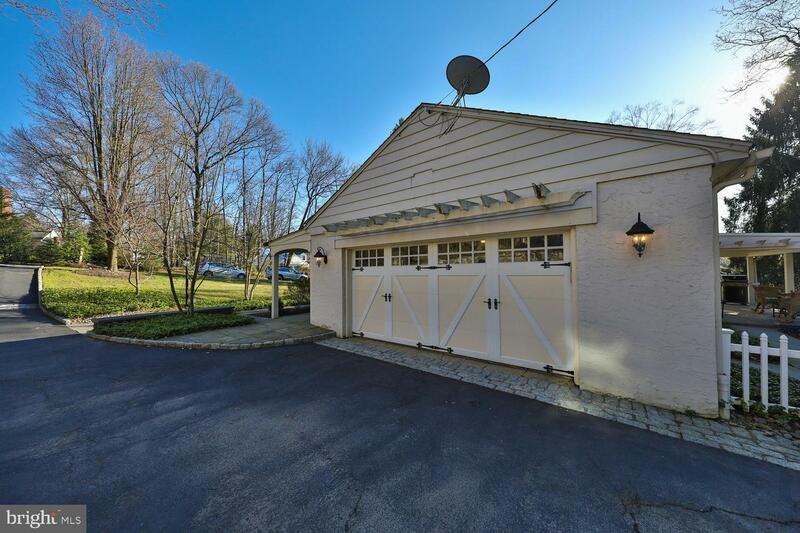 The 2 car attached garage with loft storage has a lovely new carriage door. 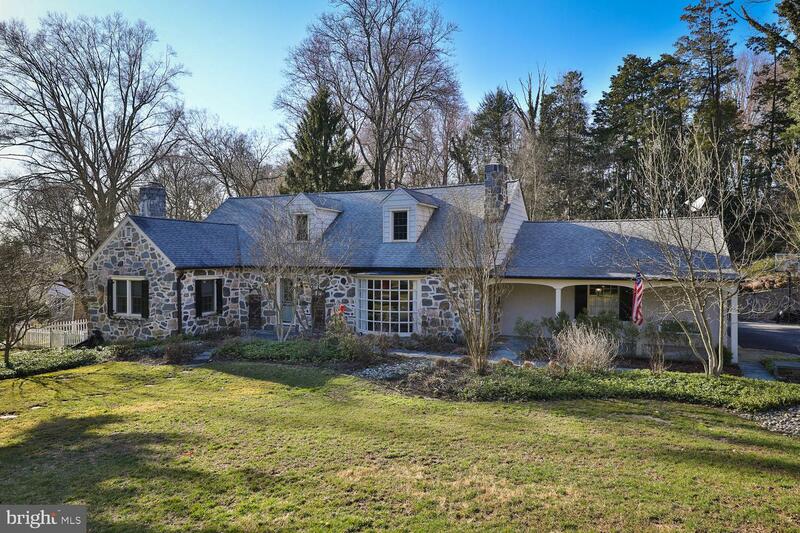 Copper gutters adorn the front of the house. 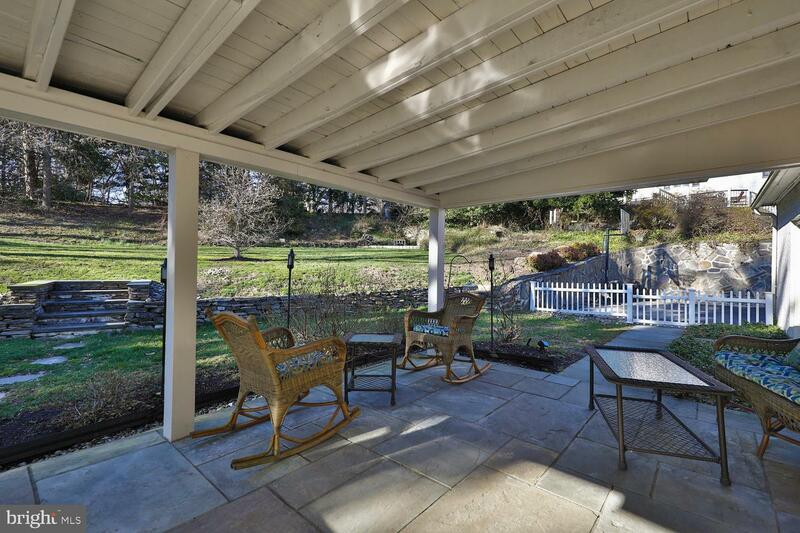 The half acre lot has a flagstone covered patio that opens onto a wide terraced lawn with decorative garden retaining walls and meticulously maintained landscaping including azaleas, roses, magnolias and a Japanese Maple. 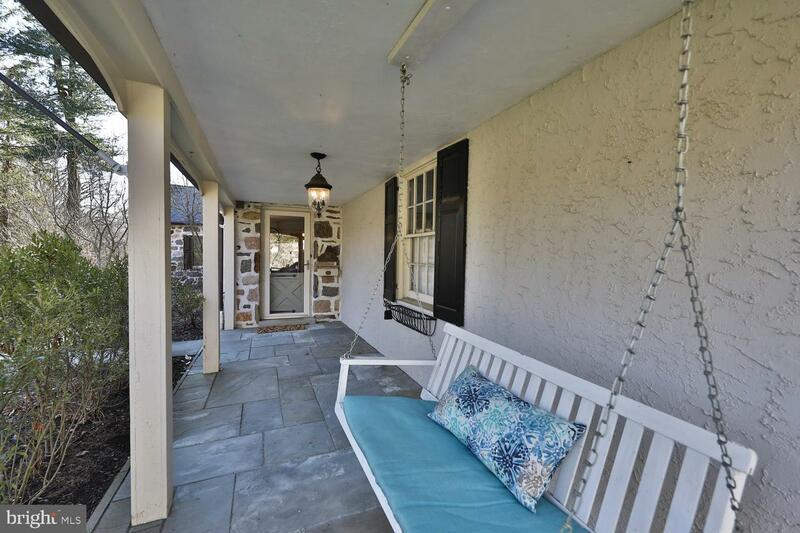 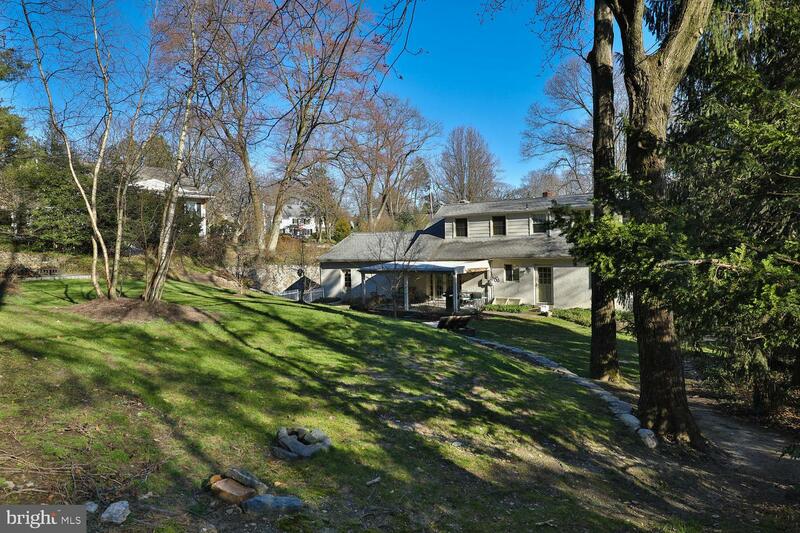 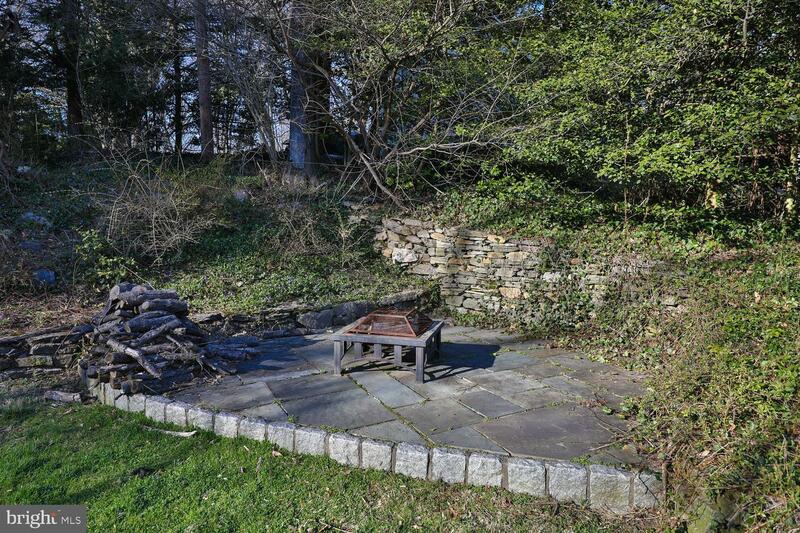 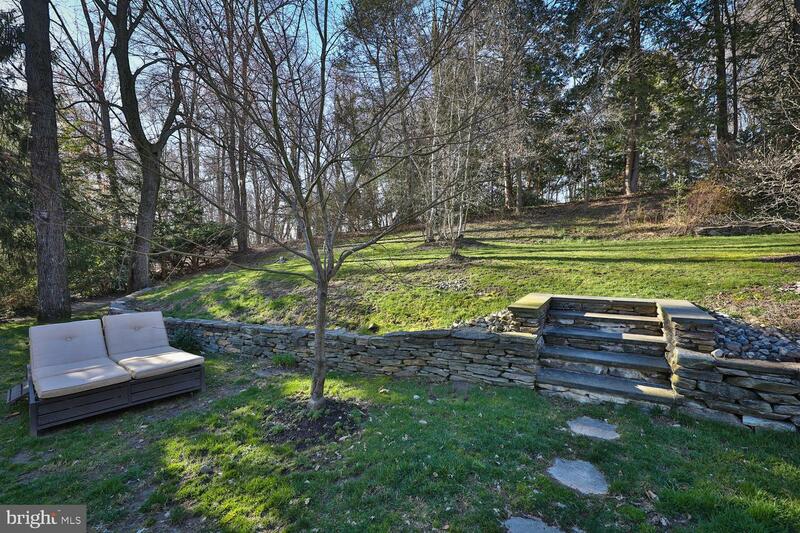 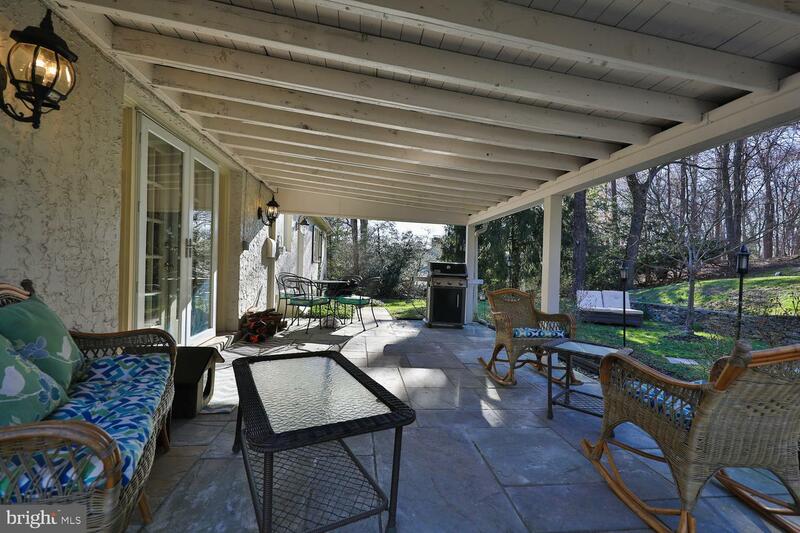 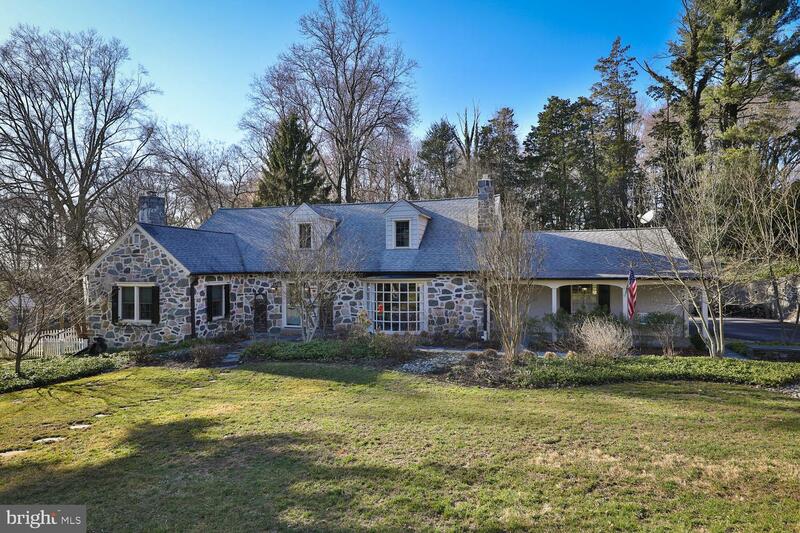 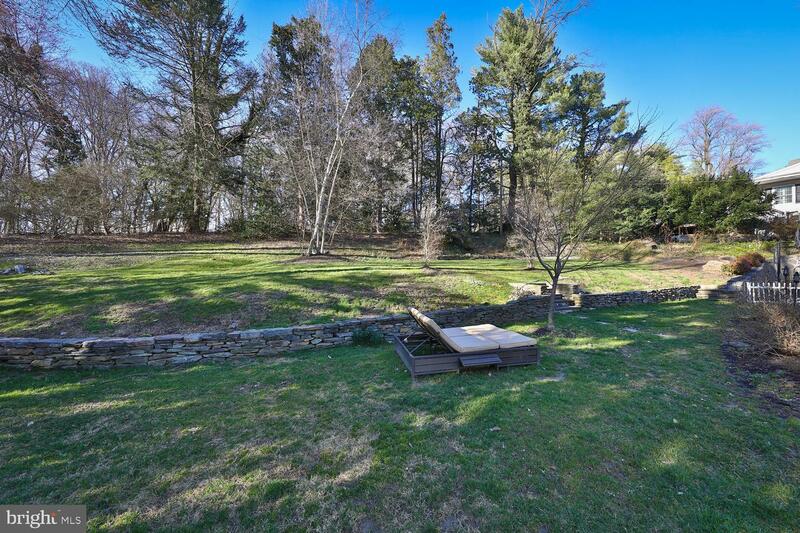 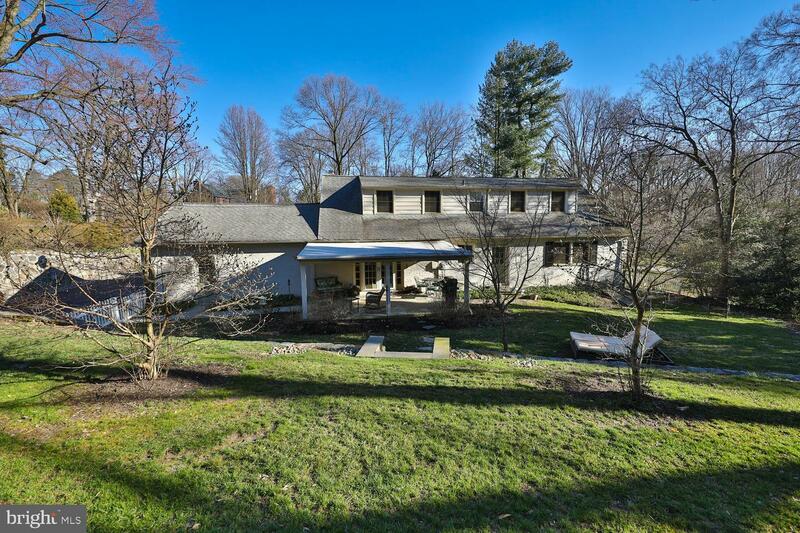 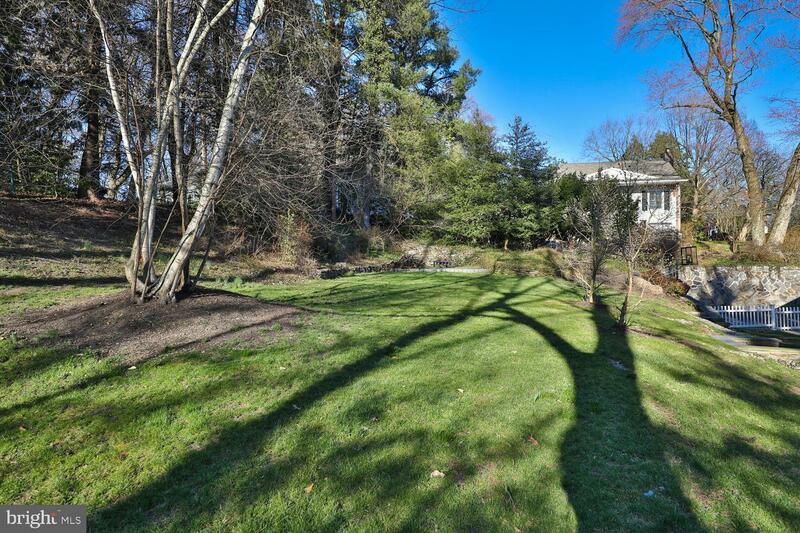 In the back corner of the lawn, there is a very private flagstone patio and fire pit. 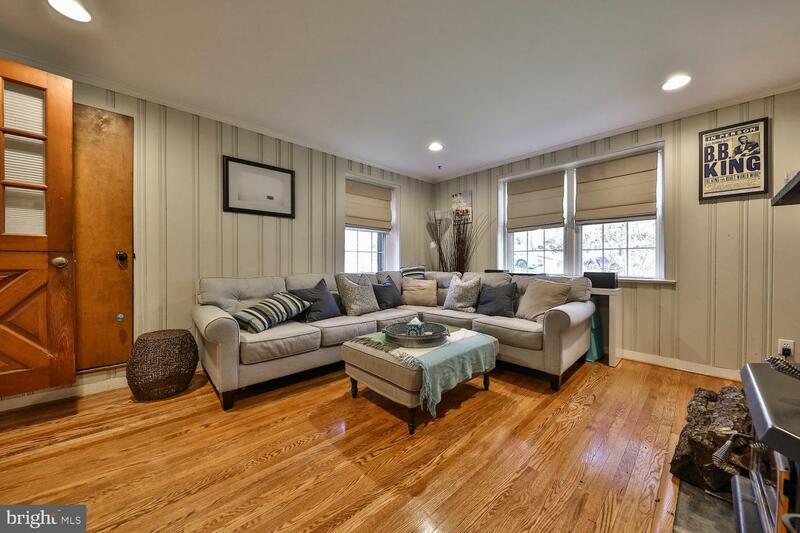 Easy access to the train station, routes 73, 309, and the Turnpike for an easy commute to both Center City and the surrounding suburbs. 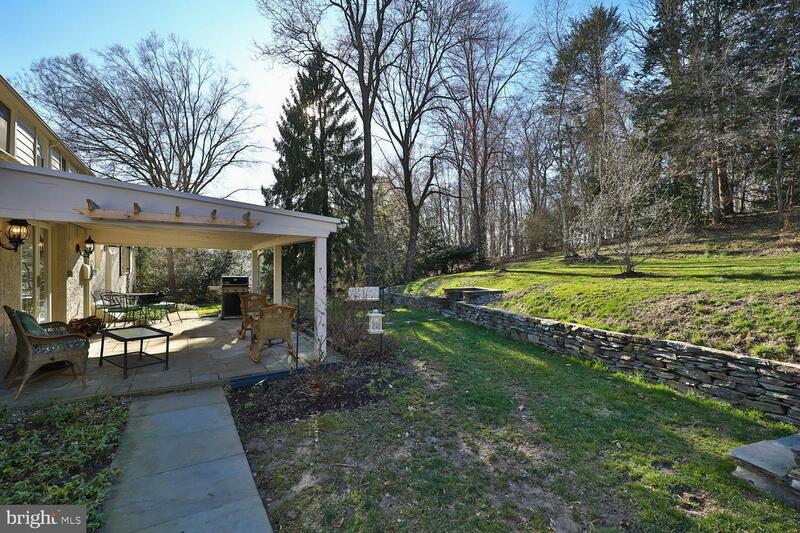 You won't want to miss this lovely home in an idyllic location!